*This is because we build for your circumstances. 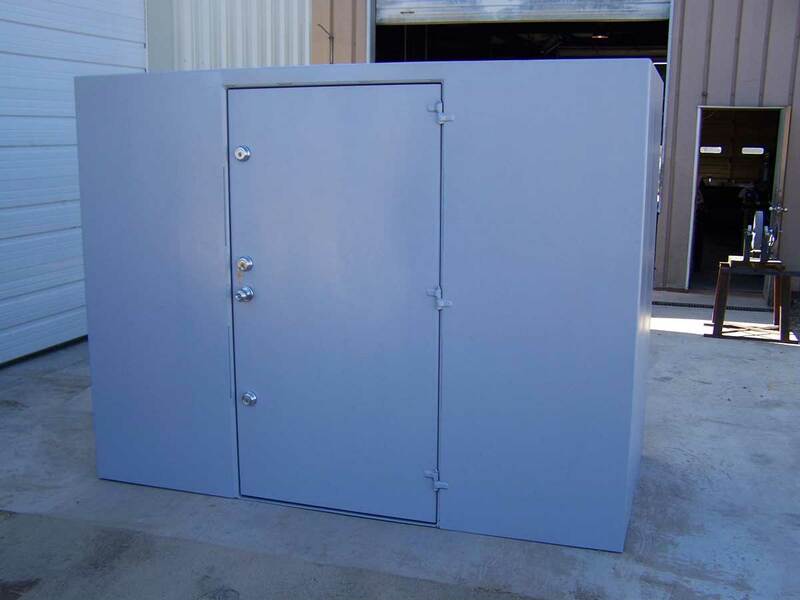 If, for instance, you want to put this in the garage, the garage door height may limit the safe room height. 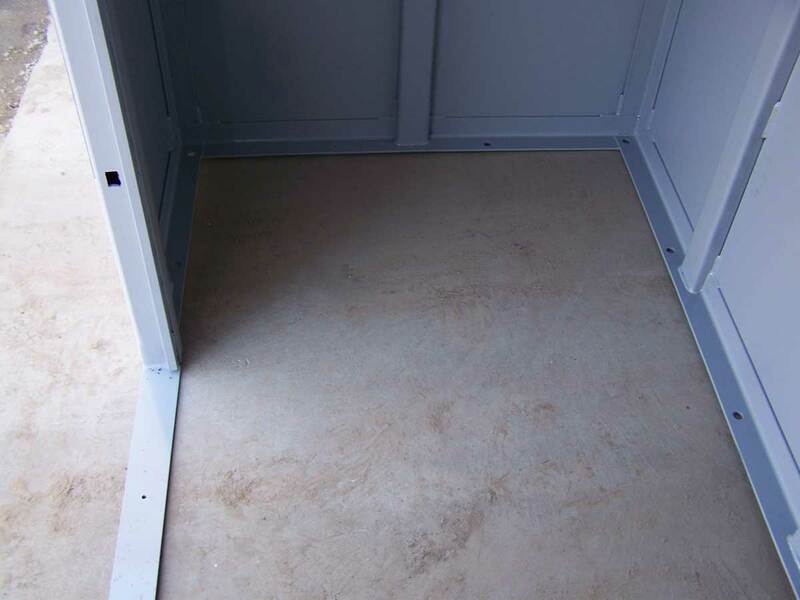 In that case we will build a safe room specifically to fit through that opening. 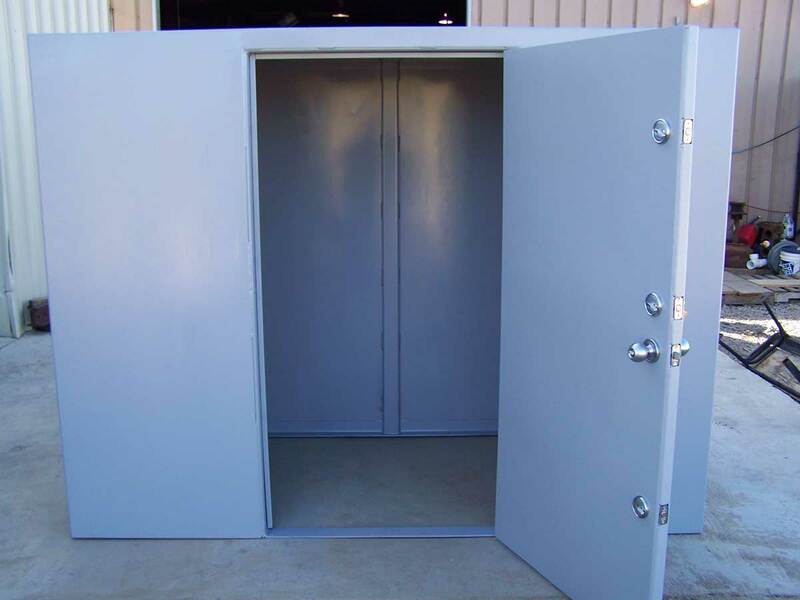 If requested, we can build the safe room up to 9 FT tall. 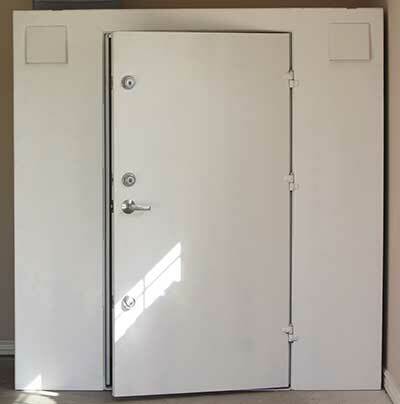 Probably the most important thing you could know about this F5-Rated Tornado-Safe-Room is that it has been manufactured by the last 3 generations of the family. Over a sixty year period, we"ve never lost anyone to a storm. 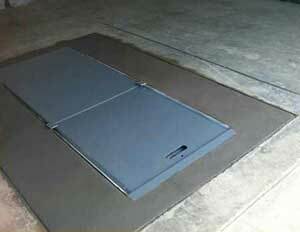 It is anchored to the floor with 16,000 Lbs stress anchor bolts every 12 inches. 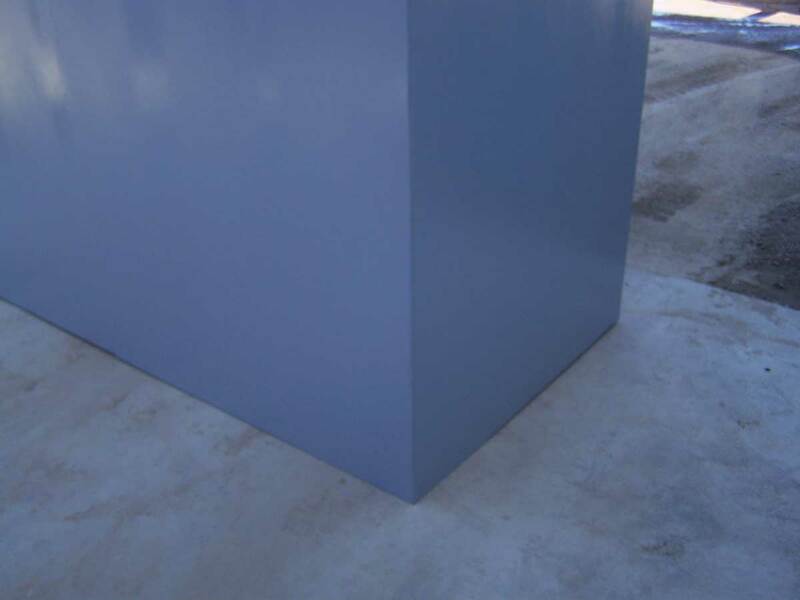 Total Side impact rating for the anchoring system maxes out at 448,000 Lbs. 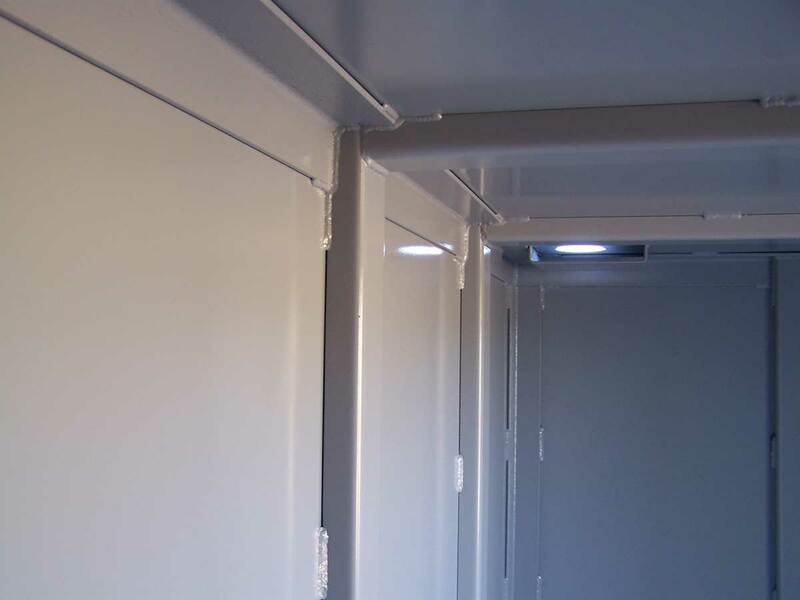 It employs the use of heavy-duty form-fitted steel-plates. 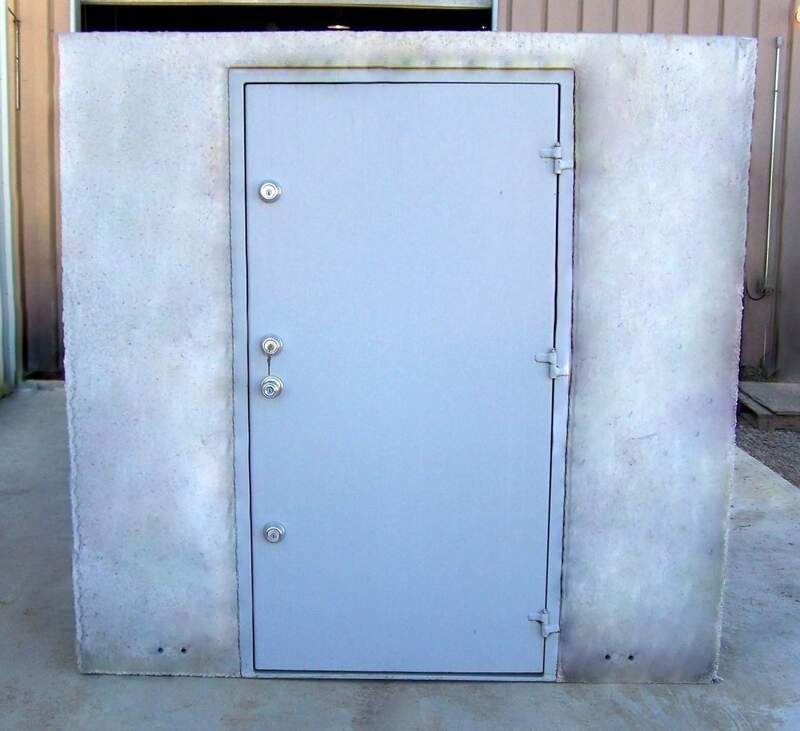 Additionally, the plate steel safe room panels are seam welded from top to bottom to make the shape you see in pictures above. 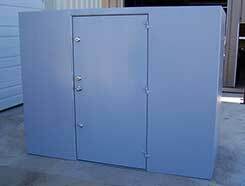 Then a storm safe room cage is created out of the same thickness of steel plates. 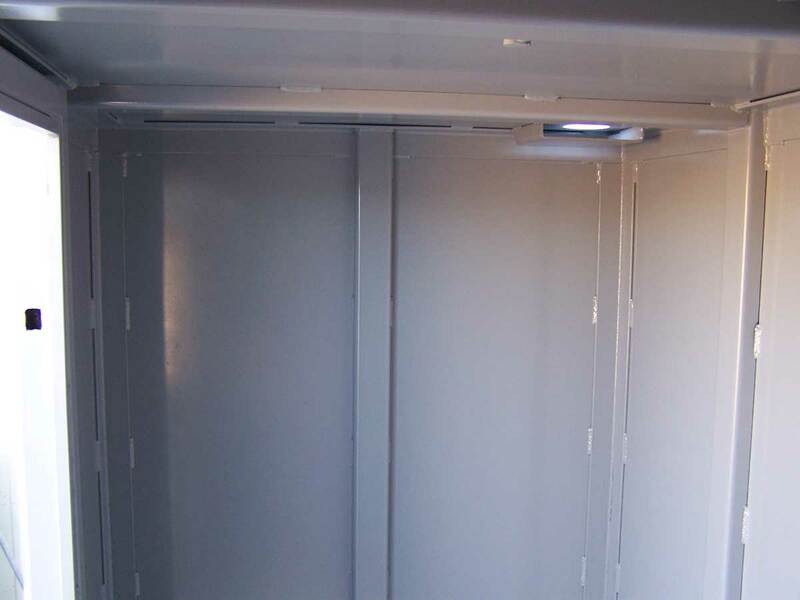 The cage is then inserted into the safe room"s panel hull and welded in, creating two separate systems for structural integrity. 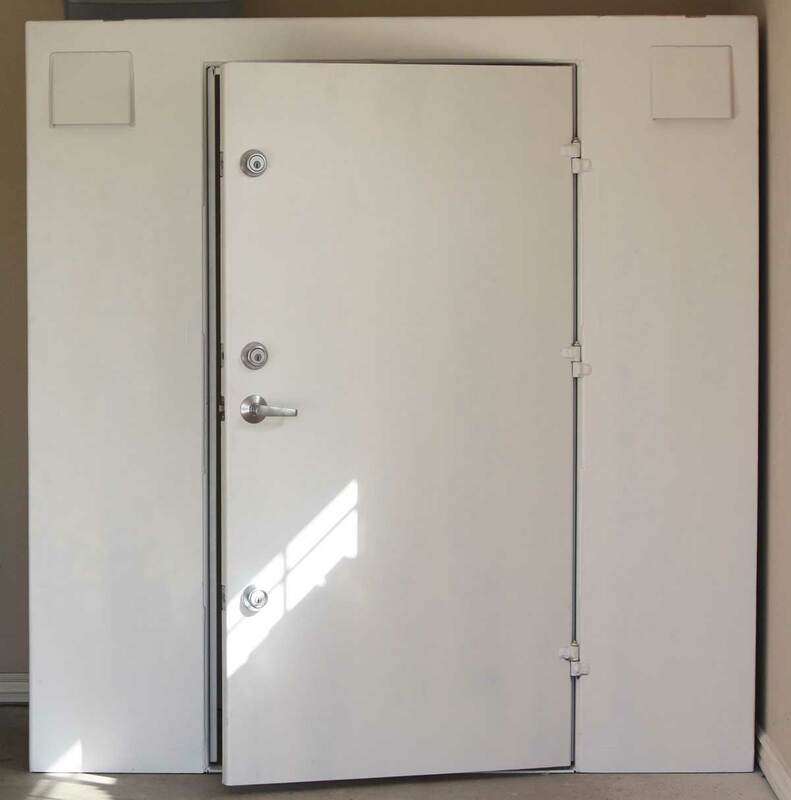 This Safe Room also has a triple locking double-plated steel walk in door that is wide enough to allow any wheelchair to enter with ease. 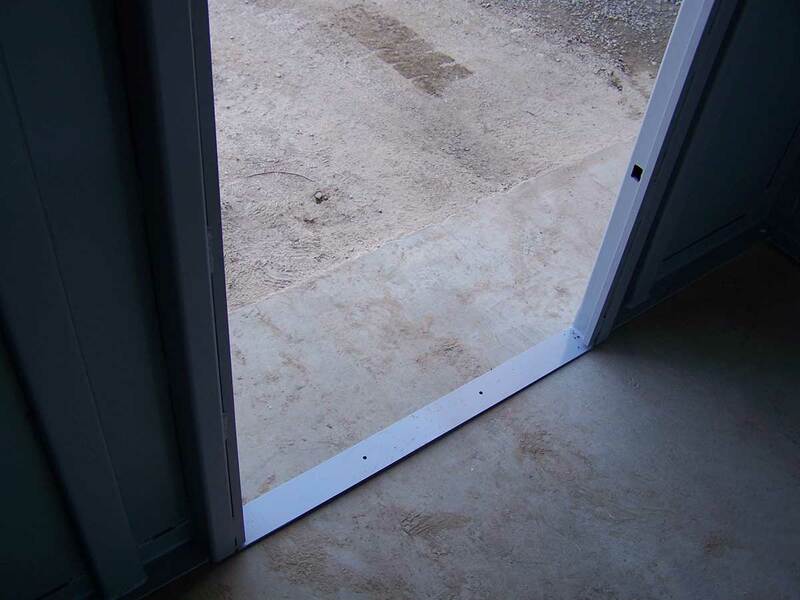 The doors have 7 points of attachment to the shelter; 3 welded hinges and 4 inter-locks, and an uber strong door jam. 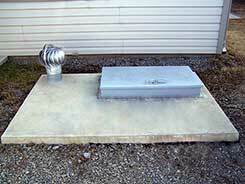 For ventilation it comes with your choice of 2 or more solid state vents. 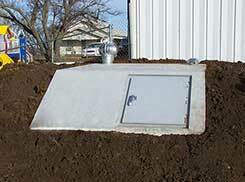 This includes COMPLETE installation of the shelter on to your existing concrete slab or patio.